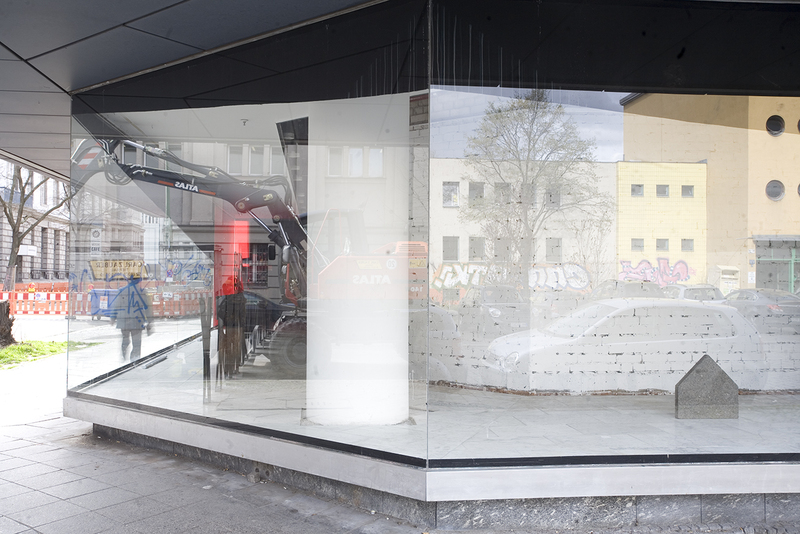 The work is an installation in a semi-private space in Berlin Neukölln. 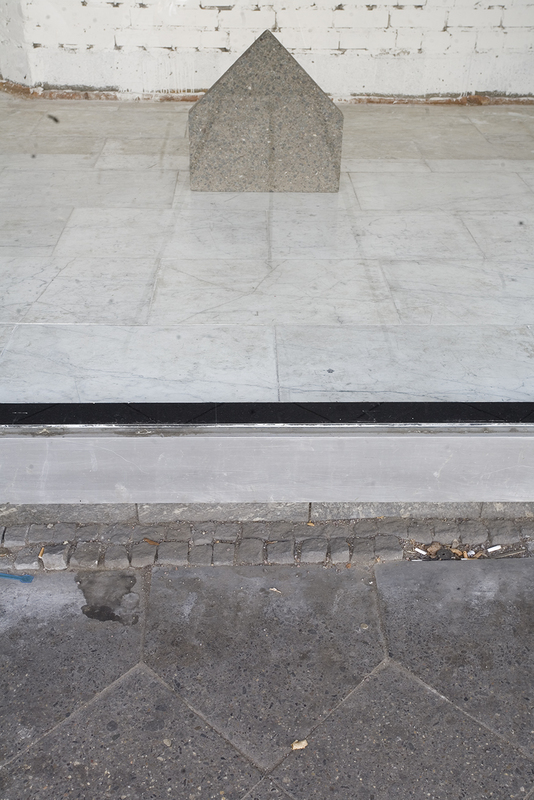 We see a house-shaped walkway stone that I have set up vertically in a shop window. This Objet trouvé represents a very cool and repellent vision of a home, no windows and doors, therefore without interfaces for interaction. A kind of theft from the public space, as the quasi identical plates outside the window. 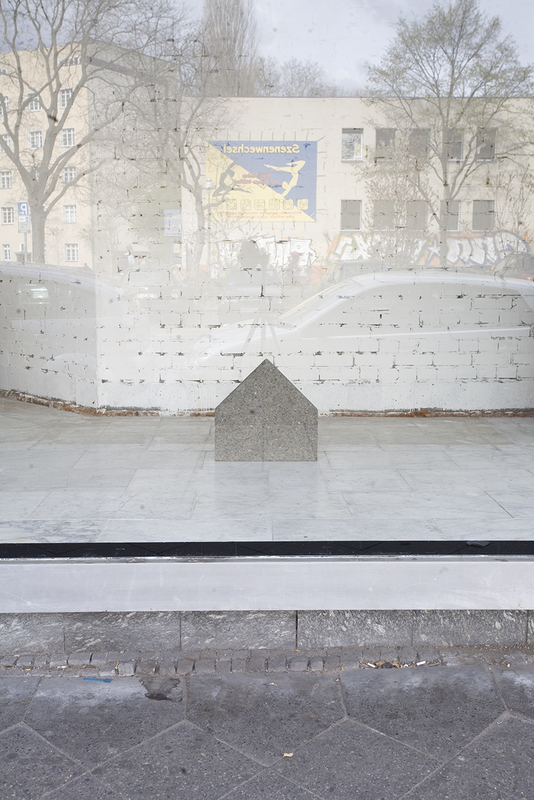 Stephan Gross is easily recognized by his characteristic language, where words and letters form two- and three-dimensional shapes and sculptures. He often places this visual poetry and other installations in the cityscape as small and large post-it notes of reminders. Other works include photo montage, graphics, print media and video. Themes are oppression, politics, desire, violence and beauty. His works have been shown at the ZKM Karlsruhe, FACT Liverpool, at the International Short Film Festival Hamburg and in the national museums and galleries of several countries. Gross lives and works in Berlin.